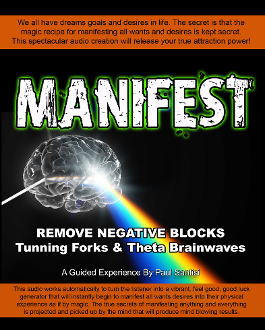 Here is very powerful audio titled Manifest. Listen along and automatically clear out and remove negative blocks and raise your vibrational intensity to new levels, that will BLOW YOUR MIND. You are going to absouley love who you become!